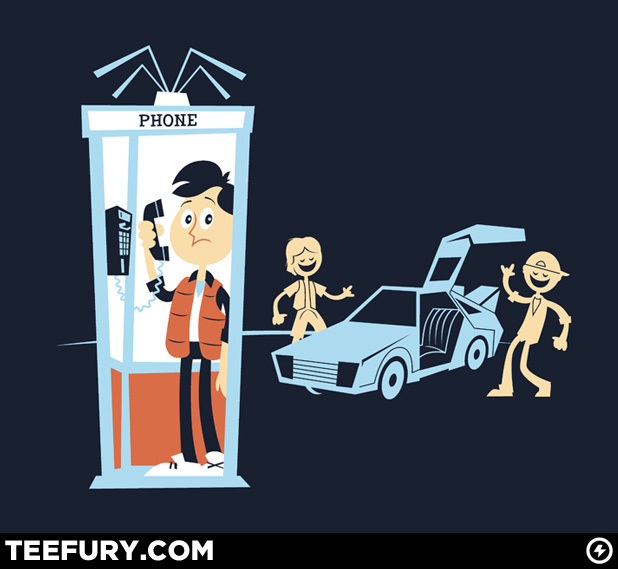 This is my BTTF/B&T mash-up shirt design that will be featured on Teefury.com starting midnight EST TONIGHT and all day Tuesday, May 29th. 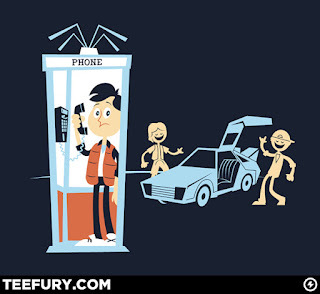 After that it's gone for good, unless of course you have a Delorean or phone booth that allows you to travel back in time. Also, this coming weekend (May 31st - June 3rd) I will be at the Wizard World Philly at Artist Alley table #2258 with fellow artists Scott Derby and Tom Whalen. So if you're in the Philly area stop by and say hi!